It’s hard to imagine Tokyo as a tiny fishing village named Edo. Tokyo is now the largest metropolitan area in the world, an exciting city with a seemingly unlimited choice of shopping, restaurants, museums, temples, and gardens to visit. Start with the live tuna auctions at the Tsukiji Fish Market, the largest and busiest fish market in the world, then head to Tsukiji’s electronic equivalent, Akihabara Electric Town (Denki-Gai), for the very latest in gadgetry and games, and of course a classic sushi experience is a must. Slow down at the serene Meiji Shrine, the beautiful Shinjuku Gyoen National Garden, or take it all in from high above at the Tokyo City View, the 52nd floor observation deck at Mori Tower in Roppongi Hills. In a quintessential story of old meets new, Tokyo is fast-paced, trendy and high tech, but is never very far away from its enchanting past. See icons of Japanese history including the Meiji Shrine, the Sensoji Temple, and Nakamise-dori, Japan's oldest street, before enjoying a convenient transfer to Narita Airport. Experience a traditional Kaiseki meal while watching a dazzling Geisha performance. 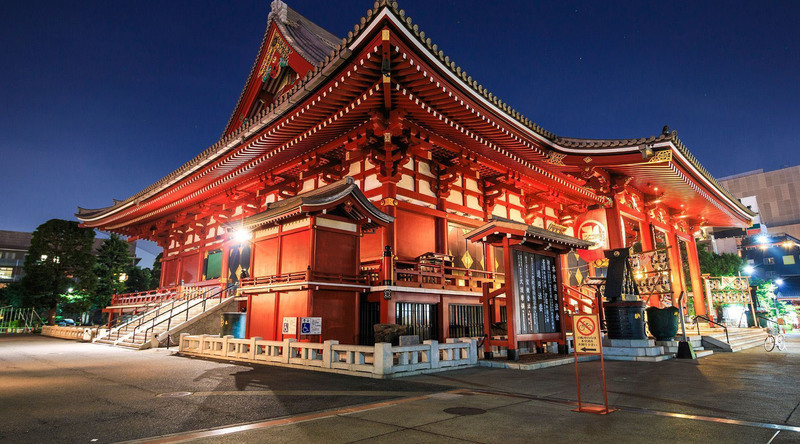 Journey to the breathtaking Sensoji Temple, stroll down the oldest street in Japan, and visit the fascinating Edo Museum on this journey into historic Japan.